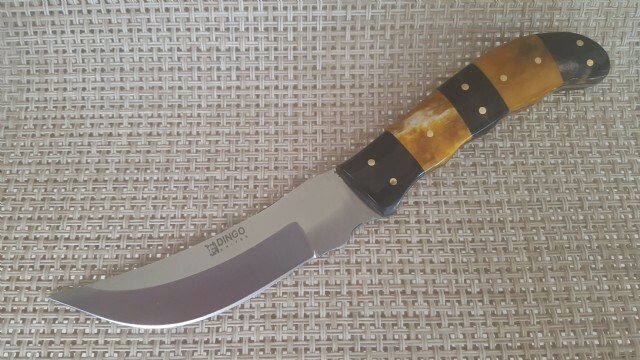 The Turned Up Bone Damascus steel hunting knife is an unusual handmade curved style DINGO knife. 5 inch high quality surgical steel blade that will not rust. 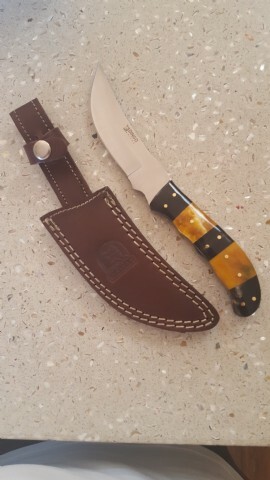 Attractive 5 inch pinned brown bone and horn handle. 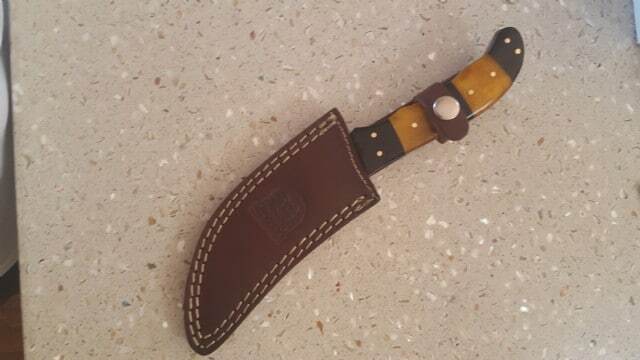 Comes with quality brown leather sheath.